FRANKFURT -- The Renault-Nissan alliance is drawing up plans to build a 100-megawatt power storage plant in Europe, sources told Reuters, hoping to give electric-car batteries a second life in a project that could eventually compete with utility companies. Like rival Tesla's energy storage business, the Renault-Nissan move underscores its desire to cultivate a second-hand battery market while encouraging the development of energy infrastructure that works for EVs. The Renault-Nissan alliance plant would be big enough to power 120,000 homes, or supplant the role of a gas- or coal-fired power station in meeting peak electricity demand on the grid, the sources said. Rather than generating power, a storage plant charges up in times of excess supply and sells electricity back to the grid when needed. Proponents say such plants can play a key role in smoothing out unpredictable wind and solar power generation. Renault-Nissan is working in partnership with energy storage specialist The Mobility House on the mega battery which would be assembled from new or used electric-car batteries, one of the sources said. "We're working with The Mobility House on several programs including a major energy storage project that is currently still in the study phase," Renault spokeswoman Celine Farissier said, declining to give further details. Makers of electric cars stand to benefit from the creation of a market for used lithium ion batteries that can no longer power vehicles to drive far enough. Higher second-hand battery values could help bring down the cost of electric cars and mega batteries are one avenue for recycling the power cells. Nissan, 44 percent-owned by Renault, has already built a back-up power storage system for the Amsterdam Arena, which is home to soccer club Ajax, in a first partnership with the German start-up. Marcus Fendt, its managing director, said the Munich-based company was working on a 100-mw plant with partners he declined to identify, citing confidentiality agreements. He said the studies were aimed at determining where to build the plant. 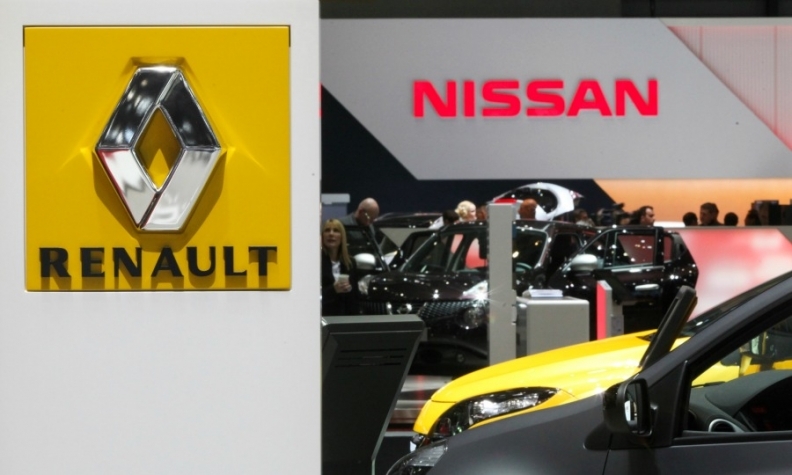 Locations and end markets under consideration for the Renault-Nissan plant include Germany, which is suitable because of its high-energy prices and its shift from nuclear to renewable energy, as well as the Netherlands, sources said. Renault-Nissan studied an existing power storage project in the U.S. before embarking on its own plan to recycle electric-car batteries. California's Public Utilities commission selected a 100-mw battery storage system to replace a natural-gas power plant providing electricity for Southern California Edison in the Los Angeles area. Large batteries can help stabilize the primary reserve electricity market, which is responsible for ensuring the grid has at least 50 Hertz. Carmakers can also earn money competing with conventional power stations to guarantee the provision of electricity during periods of high demand or volatility. "We forecast the combined market for electric-passenger vehicles, electric buses and battery storage to increase eight-fold to over $200 billion by 2020, a five-year compound annual growth rate of more than 50 percent," Berenberg analysts said. With about 4 million electric cars expected to be on the roads by 2020, vehicle manufacturers are looking at ways to recycle batteries, including Tesla, which already sells everything from solar panels to batteries and electric cars. Daimler, BMW Group, Volkswagen Group and China's BYD are also exploring so-called second-life storage projects with batteries. That includes partnerships such as the recent collaboration between BMW and Vattenfall, in which the luxury automaker will deliver up to 1,000 lithium ion batteries to the Swedish utility for storage projects this year. "What will end up happening is that BMW and Daimler will ... become utilities themselves," said Gerard Reid, founder of Alexa Capital, a corporate advisor in the energy, power infrastructure and technology sectors. "They use Vattenfall now because they need to learn but I think the amount of batteries coming back will be so big that I think they'll end up engaging directly with the end customer themselves. And they've got the brand name to do that."